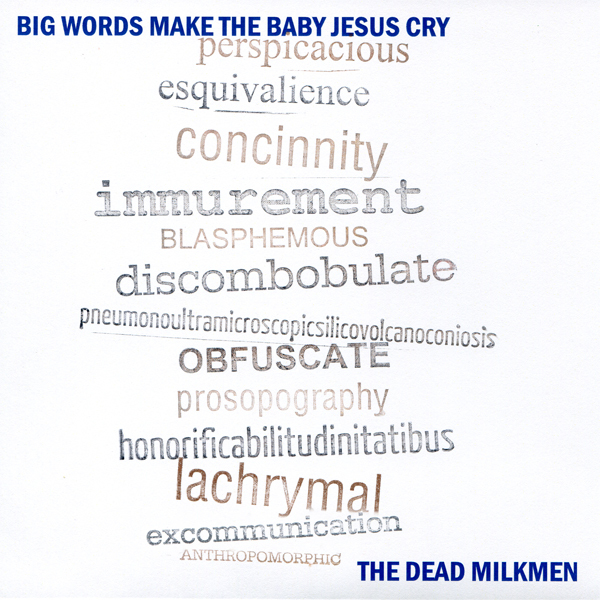 If It's Too Loud...: The Dead Milkmen - "Dark Clouds Over Middlemarch," "Big Words Make the Baby Jesus Cry," & "The Great Boston Molasses Flood"
The Dead Milkmen - "Dark Clouds Over Middlemarch," "Big Words Make the Baby Jesus Cry," & "The Great Boston Molasses Flood"
Starting last year, The Dead Milkmen started following up their 2011 comeback album by releasing 7” singles, available for both download and as a physical record. 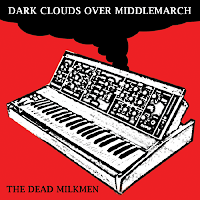 The first one to be released was “Dark Clouds Over Middlemarch.” The B-Side is “Ronald Reagan Killed the Black Dahlia,” a song implicating Ronald Reagan in the Black Dahlia murder. Both songs feature Rodney Anonymous at the top of his game. Most punk bands from the 80s/90s tend to have mellowed out with age and even at their most rocking, their new material is almost easy listening compared to their original output. Apparently the secret is to take 16 years off. Rodney just sounds like he’s been festering since 1995, just waiting to get his chance to attack mainstream American culture and politics. There is also a digital bonus track (all vinyl copies come with a download code for both tracks and a bonus song, as well) of a cover of ROME’s “Little Rebel Mine” as a duet with Audrey Crash. 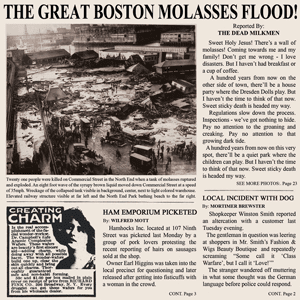 Most recently, The Dead Milkmen have released “The Great Boston Molasses Flood,” which is one of my personal favorite obscure historical events (read more about the subject material here). “The Great Boston Molasses Flood” is a much more noisy and experimental song, while somehow being the most straightforward rock song in any of the 3 singles. Written from the perspective of a victim of the disaster, Rodney even finds a way to name check The Dresden Dolls, his favorite Boston band. 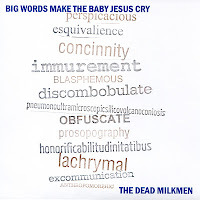 “Now I Wanna Hold Your Dog” is an obvious reference to The Stooges, and is one of the loudest, most rockin’ Milkmen songs in existence. The bonus song, “Anthropology Days,” feels like the most standard Milkmen song in the collection. 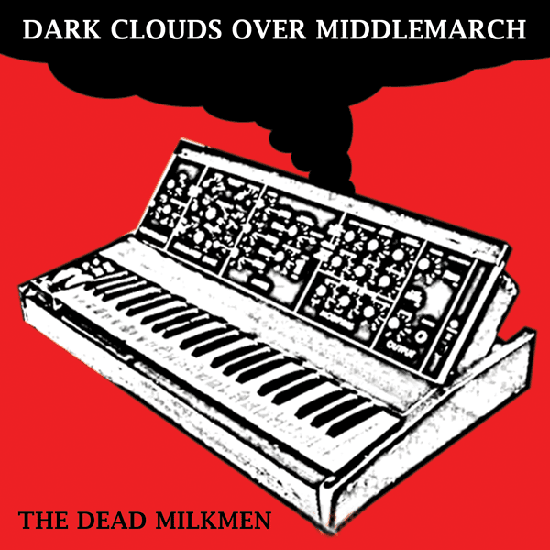 You can preview all 9 songs on The Dead Milkmen’s storefront and website. You can also purchase them through Amazon, but why not give the money directly to a decent, American artist, like The Dead Milkmen?